Interested in new homes in Frisco? 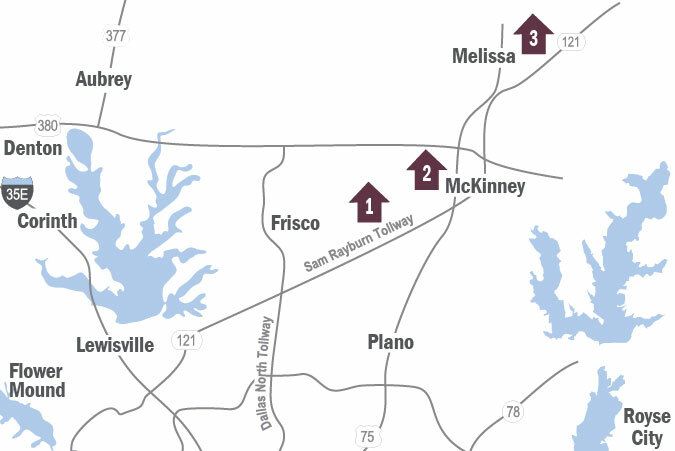 Frisco is an affluent, well-positioned city, located north of the DFW metroplex. Benefiting from the booming Dallas/Fort Worth economy, Frisco offers a plethora of amenities, including restaurants, stores, malls, theaters, and so much more. As a result, new homes in Frisco are becoming a more attractive option for new home buyers. Our highly skilled design, construction, and financing teams have built a strong reputation based on integrity. We use our expertise, time and knowledge to provide a final product that’s exactly the way our customers desire. Your new home will have improved electrical wiring and drywall that are made to be resistant to fire. A conventional construction will create design flexibility for you and your family. It is exciting to see the house of your dreams come to life with the perfect floor plan. New construction can include a variety of floor plan options, customized to meet your needs and preferences. At Impression Homes, we’re committed to offering an unsurpassed living environment. Your home will have plenty of natural light and soaring ceilings to give it a more elegant and spacious feel. We have considerable experience providing solutions that make for open living and outdoor entertaining. We will happily add any customized features you request, you can spend more time enjoying your family and getting to know your new neighbors. Deciding to build a new home in Frisco is an exciting and life-changing moment. Impression Homes will deliver your home on time and within budget. Going with a new construction home gives you the opportunity to personalize the details to best fit your lifestyle. You can make the tile and flooring selections, paint colors or even add a luxurious bathroom, that perfect gourmet kitchen, a mudroom or even a home theater for the whole family to enjoy.